Well over here we are still on Easter holidays and the Easter eggs are half price! 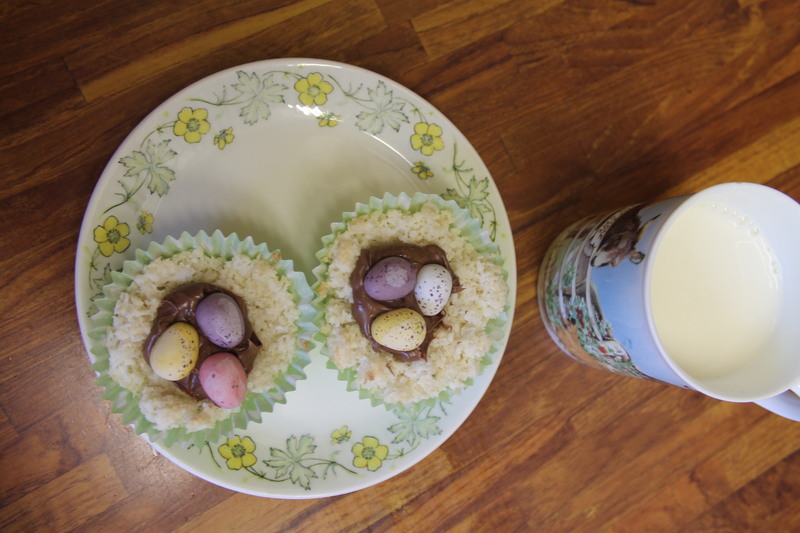 The kids are still away from school and bored so having bought some little Easter eggs cheap I thought we could make some Easter Nests which, because it is after Easter, we will call Spring treats. 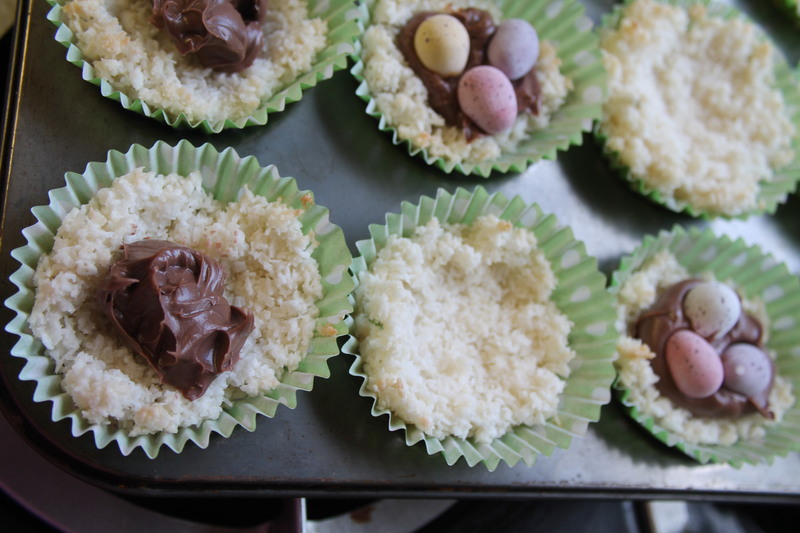 It is a macaroon mix and filled with chocolate spread and small egg. The mixture makes about 16 nests. Whisk the egg whites until stiff then add the lemon/lime juice and a little sugar and keep whisking. Gradually add the remaining sugar and whisk until the mixture is shiny. Fold in the coconut, almonds and vanilla. Spoon the mixture into paper cases and make a small depression in each one. Bake for 12 minute until set. Cool on a wire rack and when slightly cool add a teaspoon of chocolate spread and three eggs to each. The children had one still hot from the oven with a glass of milk but they go equally well with tea.